Freebo is a genuine folk, rock and blues icon who, after over 40 years of recording and touring with many of the great artists of our time (Bonnie Raitt 10 years, CSN, Maria Muldaur, John Mayall, Ringo Starr, Dr. John, Neil Young, & many more) is regarded as one of the most gifted singer-songwriters of today. A multi award winner and finalist in numerous songwriting contests, Freebo was also recognized as the 'Best Folk Artist 2007' by the Los Angeles Music Awards. In addition, he has appeared on Saturday Night Live, The Muppet Show, The Midnight Special, and in concert with the legendary Spinal Tap. Freebo's compassionate concern for the world and people around him, as evidenced both in his lyrics and his open stage banter, has helped him connect with listeners worldwide. He will take an audience from insights about what kind of positive mark we hope to leave on the world upon our own passing with "Standing Ovation" to where you stand with your pets and your partner with "She Loves My Dog More Than Me." A musical evening with Freebo will be astute, insightful, clever, and truly melodic. 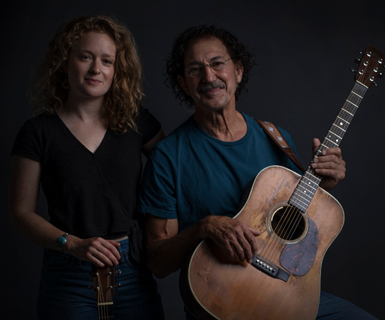 A lifelong songwriter, Alice's musical sensibility lies in '60s folk and '70s Southern California songwriters, with comparisons drawn to the pure, distilled sounds of Joan Baez and Joni Mitchell. As a performer, Alice is sure-footed and captivating, familiar to her audience from the very first song. During her three years in Seattle, Alice became a familiar face in the acoustic music scene, playing a variety of local gigs, from the Doe Bay Cafe on Orcas Island to the basement stage of Northwest favorite Dusty Strings Music Store. In the summer of 2016, Alice returned to her home town of Boston, and has been busy making herself known on the stages at Club Passim, the Burren Backroom, and the me & thee coffeehouse. Alice has opened for the likes of Antje Duvekot, Ellis Paul, Chris Trapper, Vance Gilbert, and Brooks Williams.